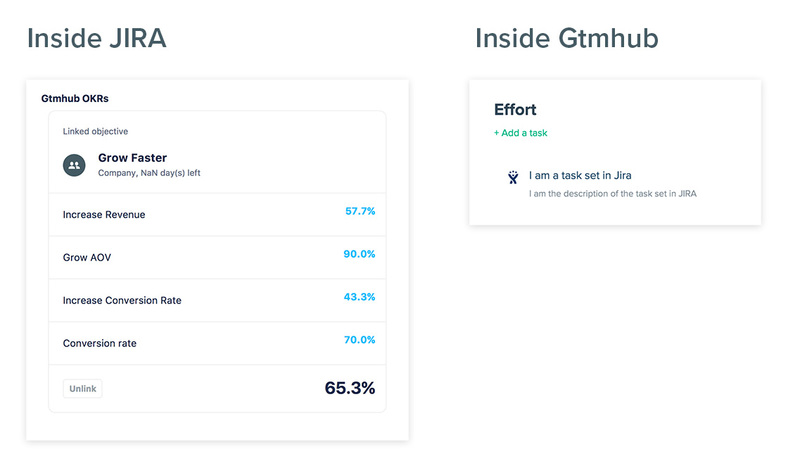 Gtmhub provides both JIRA Cloud and JIRA Server apps for enhancing your JIRA experience by integrating OKRs tracking in your JIRA issues. 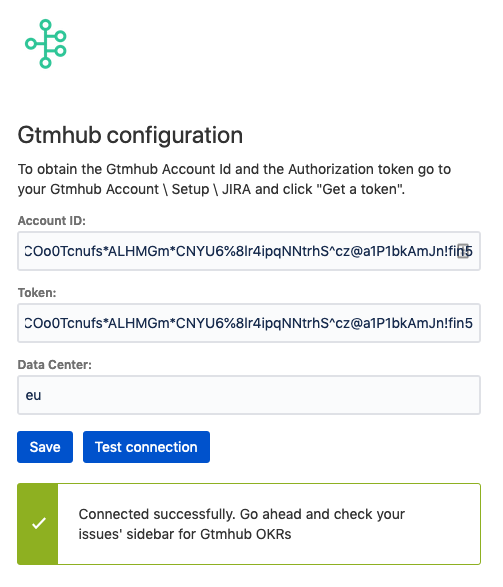 This article provides information on how to install the Gtmhub app for JIRA Cloud. tracking the JIRA issues updates (summary, description, status, assignees) and apply them to the linked Gtmhub Objective's task. A task in Gtmhub is an artifact, which represents a unit of work that should be done in order to achieve a given Objective. Therefore we represent a JIRA issue as a Gtmhub task and provide two way synchronization of their states. Go to Gtmhub app for JIRA cloud from the Atlassian Marketplace and install it. 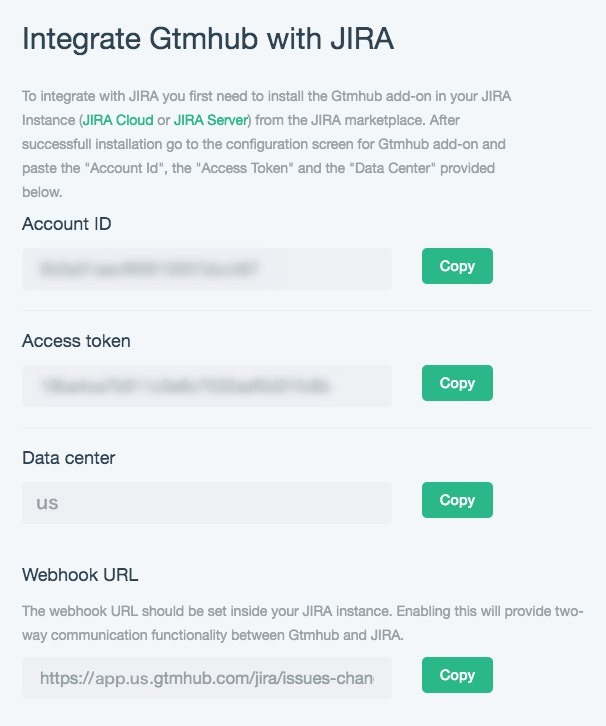 To unlock addition functionality you can setup a Jira webhook, that will allow changes made in your Jira project to be automatically reflected in your Gtmhub account. The "Managing webhooks" article demonstrates how to create a webhook. Under the URL field you should paste the generated URL from the Gtmhub Jira configure dialog. It is important to check the Issue updated event under the Events section. 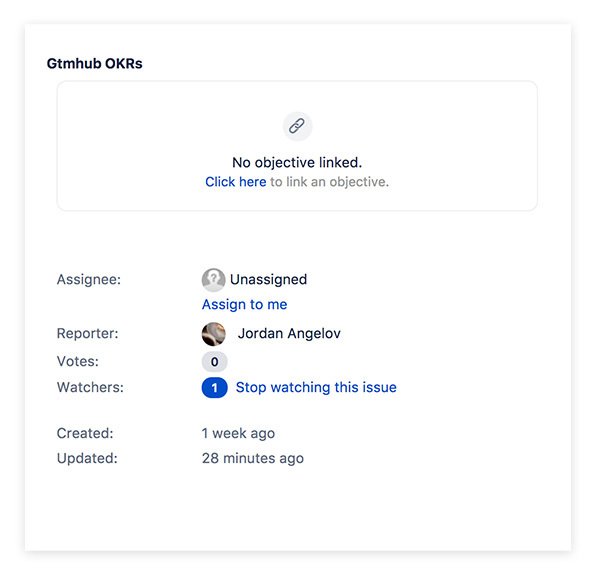 Open a Jira issue and link it to a Gtmhub objective by using the Gtmhub OKRs panel, installed in the Jira Cloud application UI for your issues. 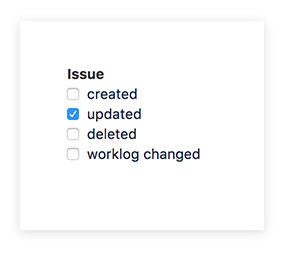 Now you are able to follow the Gtmhub objective progress inside your Jira Cloud application and the issue progress inside Gtmhub account.